If you teach classes or put on events and festivals, you don't have time to waste learning how to build a great website to get butts in your seats! You want to add your event to your site, watch the ticket purchases roll in, and get back to focusing on what you do best. We have the experience and expertise to help you reach more of your target audience and let them sign up for your events directly on your website, quickly & easily! We work with you directly to design the best website for your unique business. and get back to focusing on what you do best. 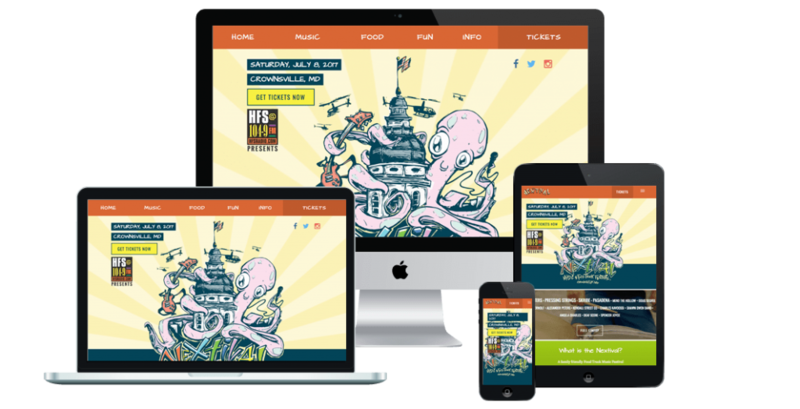 We design custom ticketing websites for classes, festivals & events. A high performance event website can help increase ticket sales and event attendance for your organization. Our event websites are built on the WordPress platform and allow you to create and manage events directly on your website. No third party websites, no extra ticket processing fees... just you, your attendees, and a successful event. Integreate with a payment gateway of your choice including Stripe, Square, PayPal, and Amazon Pay. We work directly with you, one-on-one, to understand your business goals and provide the best online ticketing experience for your attendees and business.